Worst part of this week = having to pack a lunch for FIVE WHOLE DAYS! It’s been weeks since I’ve put in a 40 hour’er – the joy of Christmas brings with it the joy of consecutive 4-5 day weekends. But now, the grim reality that the next company holiday won’t be here until the snow is melted and my brown puffy down coat has been retired for the Winter. Sigh. 1) Preheat your oven to 350 degrees. 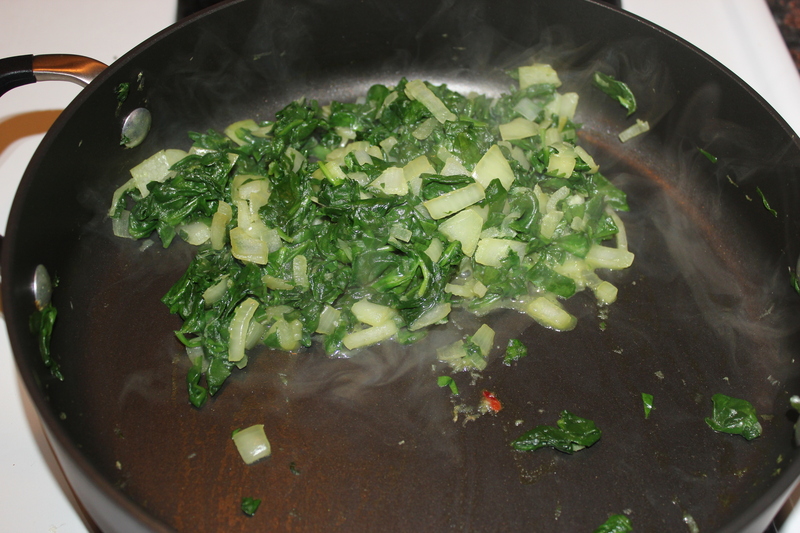 2) Heat the olive oil in a medium sized skillet over medium heat. 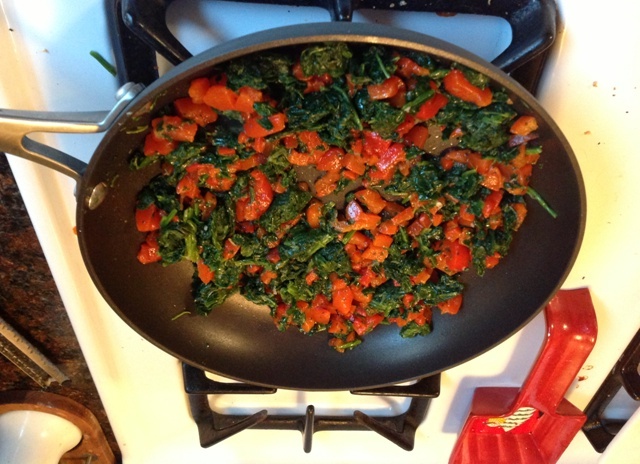 Once the oil is heated, add chopped red peppers, spinach and minced garlic and sautee for about 5 minutes, until all the liquid from the peppers and spinach has evaporated. Remove from heat. 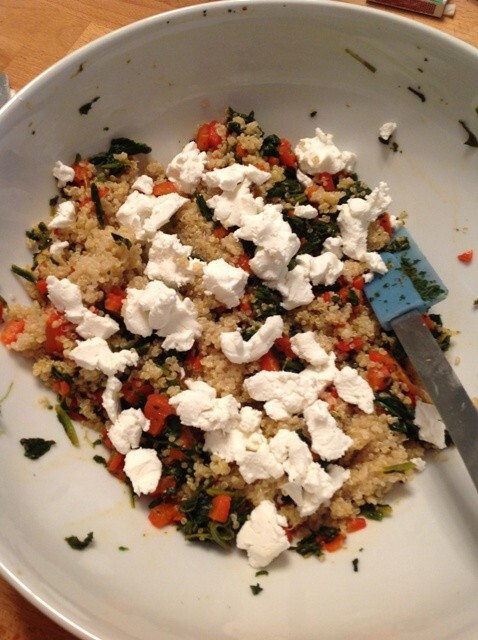 3) In a large mixing bowl, combine the cooked quinoa, spinach/red pepper mixture and crumbled goat cheese. Mix together to allow the goat cheese to melt. Once the mixture has cooled a bit more (about 10 minutes), you can then add the eggs and mix together. Season the mixture with salt & pepper to taste. 4) Spray a mini-muffin pan (24 count) with non-stick cooking spray, making sure to spray the top of the pan as well to avoid the bites from sticking. 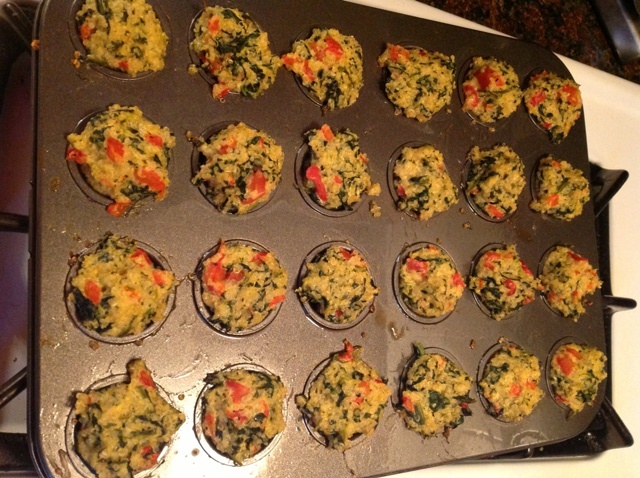 Place one tablespoon of the mixture in each muffin slot and bake in your preheated oven for 15-20 minutes. 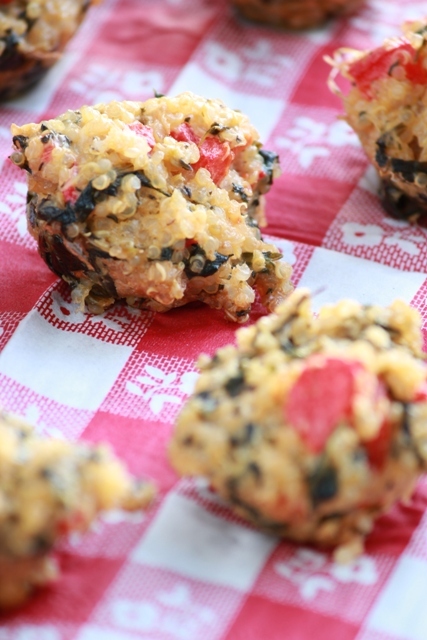 Apple Cinnamon Quinoa Bites for Breakfast! First full week back to work = a fresh week to start a great series with a yummy little ingredient I’ve been seeing a LOT of lately – Quinoa – reminds me a little bit of Cous Cous, but much heartier and packed with protein. 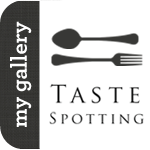 I’ve come to learn too that it’s a great base for a lot of fantastic recipes too – Quinoa bites in particular. 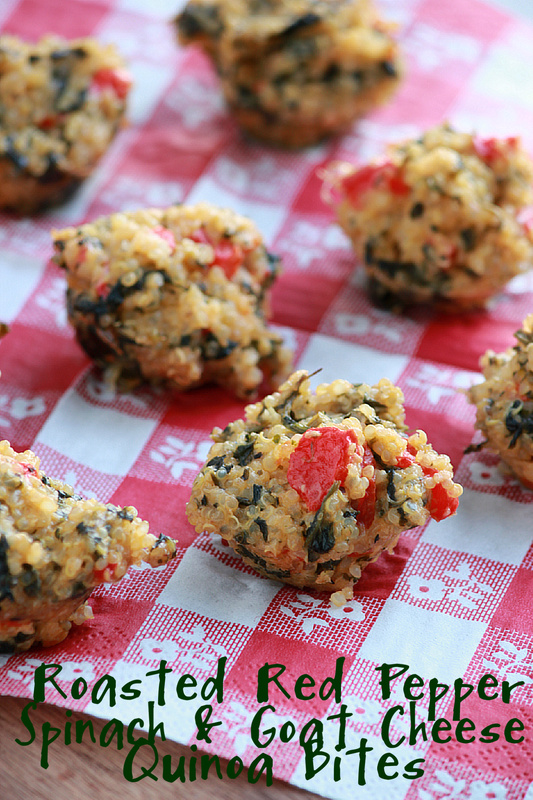 A while back, I tried these delicious Buffalo Chicken Quinoa Bites from Miki’s Kitchen and they were a perfect, healthy snack for anyone out there that is as Buffalo Chicken crazy as I am. Bites are perfect really – they’re small – they’re cute – you can eat them with your fingers, and it’s generally assumed that you can have one or two extra, cuz’ hey! They’re bite sized! Why else am I pushing Quinoa? Well, due to it’s protein punch package, it’s considered a power food which I’ll be needing a lot of lately as I begin (or, more like “focus” on) my Half Marathon training schedule. There I said it out loud. Some of my besties from home and I are headed down to Disney in just a few short weeks to do the Princess Half Marathon – and while I can’t WAIT to get down there, catch some rays, eat some Dole Whip, and hopefully get a glimpse of Mickey & Minnie, there’s that whole 13.1 miles to get through first, and I’ve got a ways to go training wise. So come on Quinoa, help a sistah out will ya? 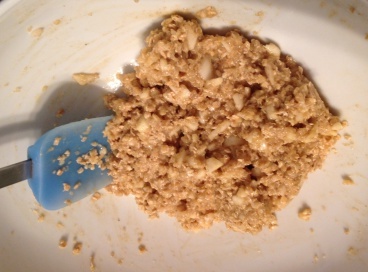 2) In a large mixing bowl, add your cooked quinoa and quick oats. In a separate smaller mixing bowl, combine your cinnamon, nutmeg and sugars and then add the spice mixture to the quinoa and oats. Then add the maple syrup, apples and eggs and mix until just combined. 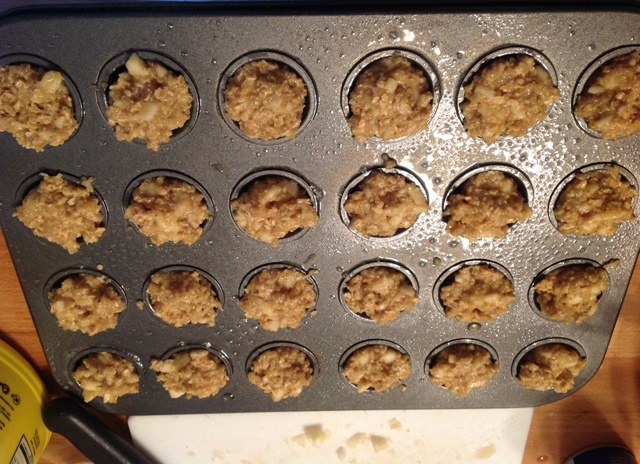 3) Spray your mini muffin pan (24 count) with non-stick cooking spray. Make sure to spray the top of the pan as well. 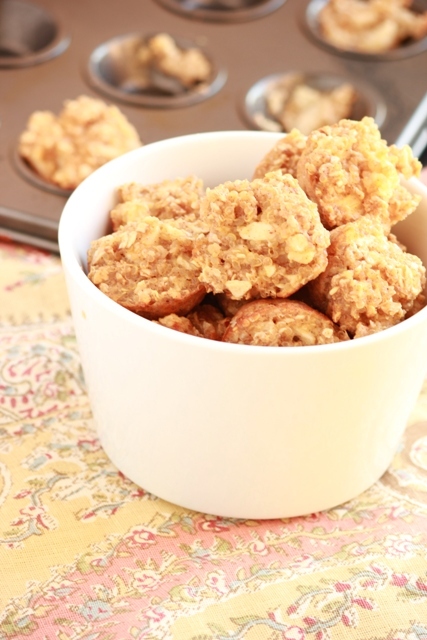 The quinoa bites will overflow out of the cup a little bit, so you don’t want the tops to stick. 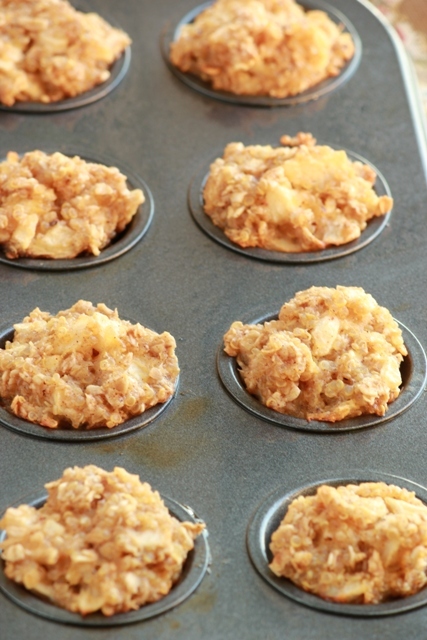 4) Fill each muffin slot with 1 tablespoon of the mixture and bake for about 15-20 minutes. 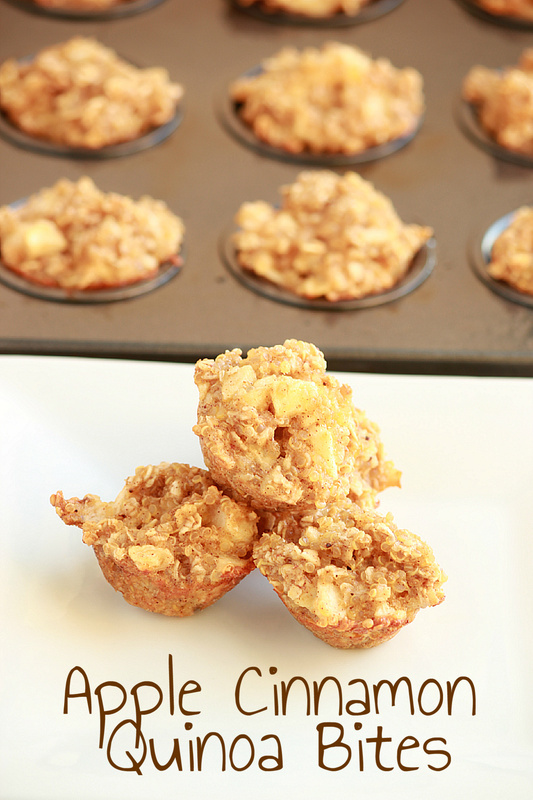 Oh yummmm – these were like little hearty mini muffins packed with deliciousness and nutritiousness – the best of both worlds! We’re baaaa-aaaack! Were you nervous we had flown the coop? 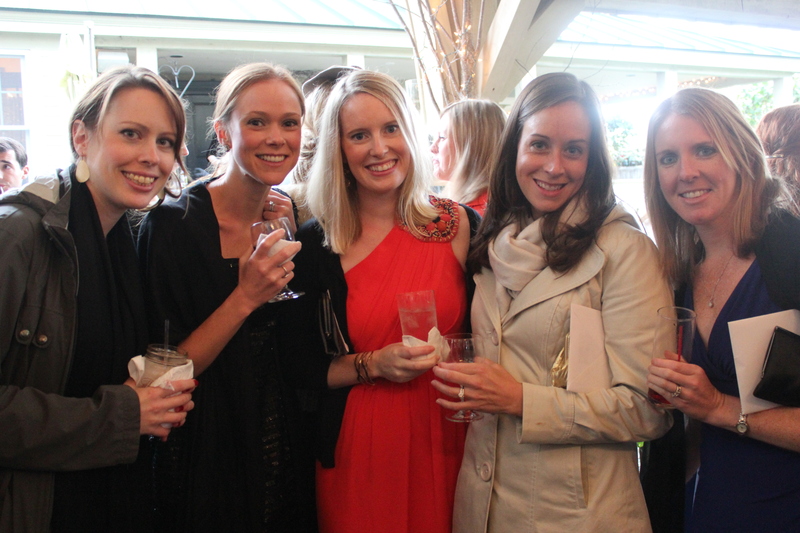 Well technically, I guess we did for a bit, now we’re back and ready to blog our socks off! Where’ve we been for the last 2 weeks and change? Well I’ll tell you! 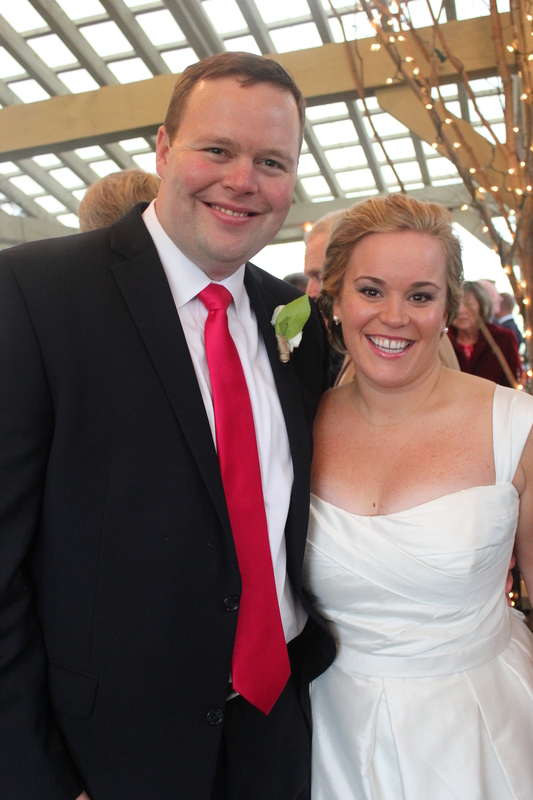 3) The wedding of a GREAT couple, our friends Maggie and Vinny! It was the picture perfect Vermont wedding, with every last detail covered, down to hand written notes from the bride and groom to every single guest at the wedding – my hand is cramping just thinking of it! 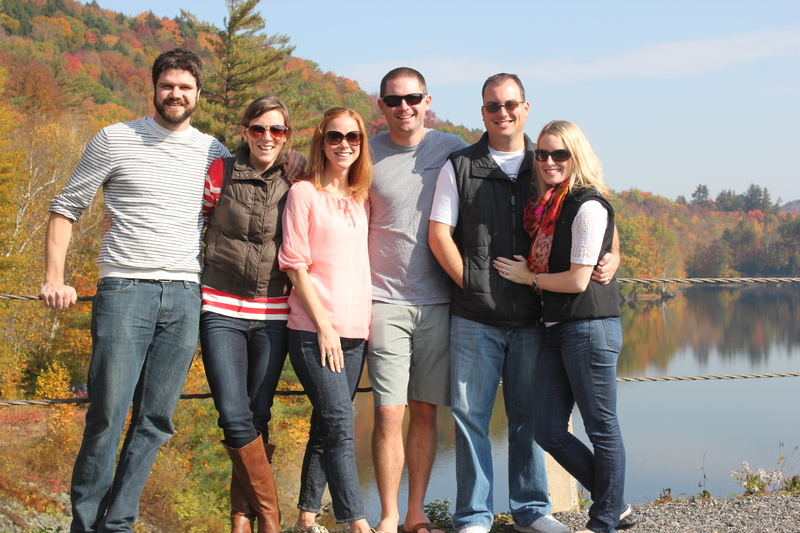 What a great day it was. And all the celebrating, beer drinking and metal’ing has left me feeling a little under the weather with a headcold that hit me like a ton of bricks. 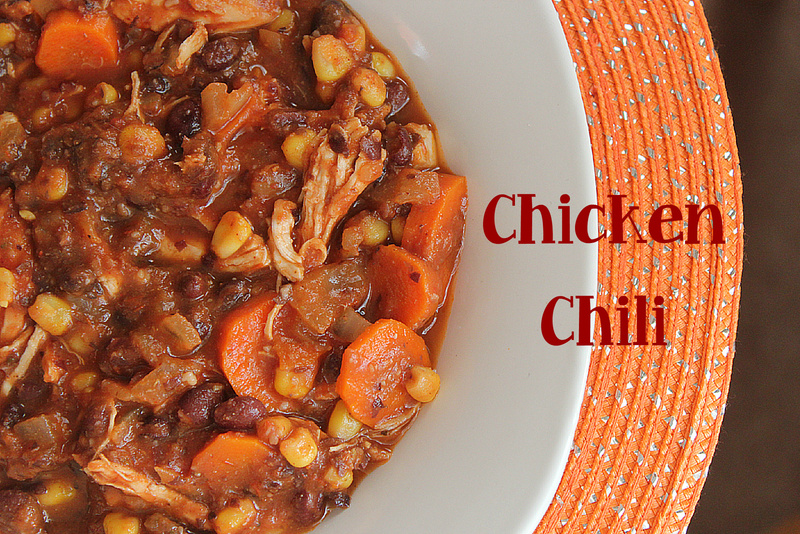 That and the chilly fall air that has made it’s way to Boston, made me realize that it’s Chicken Chili time. It’s a great spin of that delectable Black Bean Vegetable Soup, with a few adaptations to make a little more ‘chili’esque’, while still being healthy. 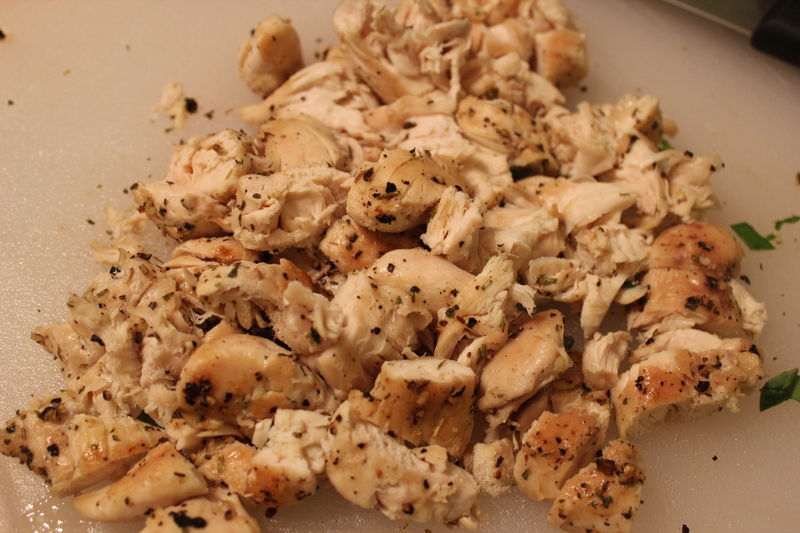 1) Coat the chicken breasts with taco seasoning. 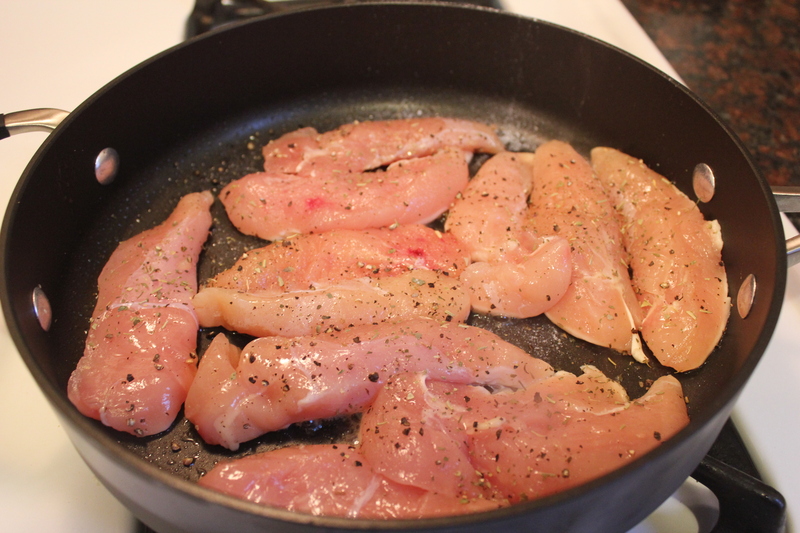 Cook both sides of chicken in a large saucepan over medium heat until just browned on either side, and set aside. 1) In a large saucepan or dutch oven, heat olive oil over medium heat; cook onion, carrots and garlic until onion is softened (about 5 minutes). Season cooked veggies with salt and pepper. 2) In the meantime, take the crushed tomatoes and 1 can of black beans and puree them together in a food processor. Set aside. 3) Add chili powder and cumin to onion/carrot/garlic mixture and cook stirring for about a minute. 4) Add the chicken stock, 1 can of black beans and can of kernel corn and bring to a boil. 5) Once the veggies have come to a boil, add the black bean and tomato puree and browned chicken breasts to the pot. Reduce heat, cover chili, and simmer for about an hour. After an hour, the chicken will be fully cooked which will allow you to shred it using 2 forks. You can remove it from the chili to shred or shred right in the dutch oven. If you shred it outside, make sure to return the chicken back to the chili. Simmer on low heat for another 1-2 hours so the shredded chicken can absorb the flavors. This is great for Sunday Funday, or even divvy’ing it up into individual containers for lunch during the week. It also freezes really well too, in case you have left overs. Anyone whose been reading this litte blog for a while can probably sense that I have a slight obsession with all things Buffalo Chicken – there were the egg rolls – there were the stuffed peppers – I’ve even thought about incorporating it into dessert (Buffalo Chicken Ice Cream anyone? 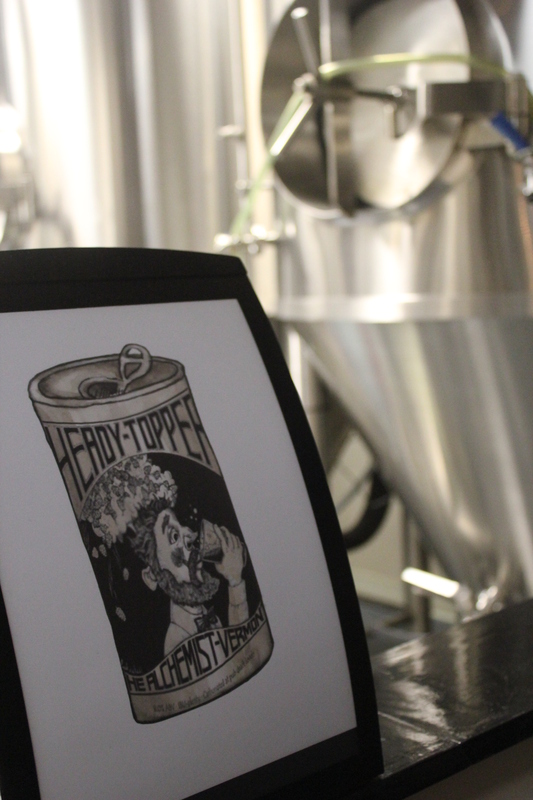 eh – nah, scratch that idea). I haven’t always been a Buffalo Chicken lover, but my tastebuds have really come to love a little zing from that orangey glow on a chicken wing or pizza with hot sauce. So I’ve tried to bring it home to our kitchen and experiment with it as much as possible. 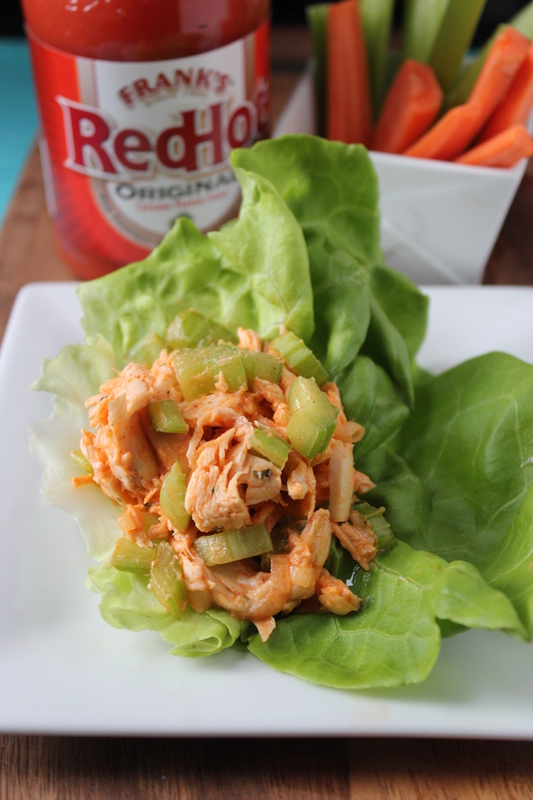 The nice thing with Buffalo Chicken too, is that you can add it’s flavoring to food while still keeping the dish healthy. 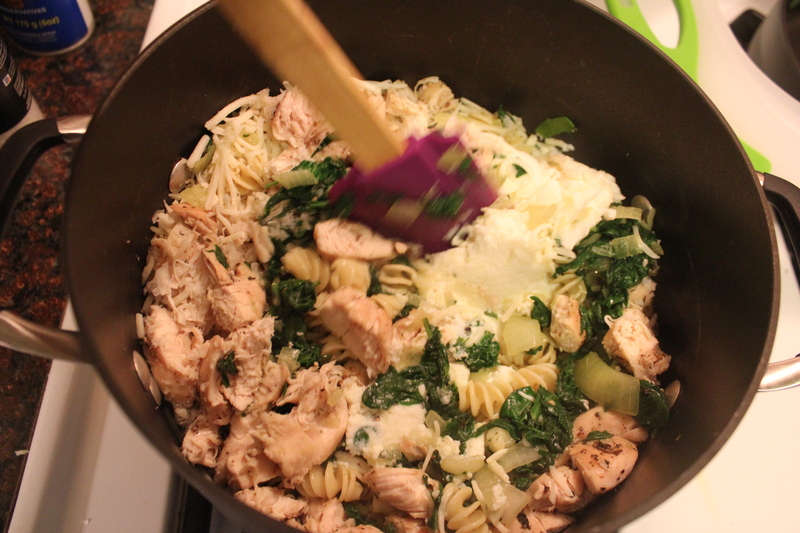 1) Dice up the cooked chicken into your desired size and place in a large mixing bowl. Set aside. 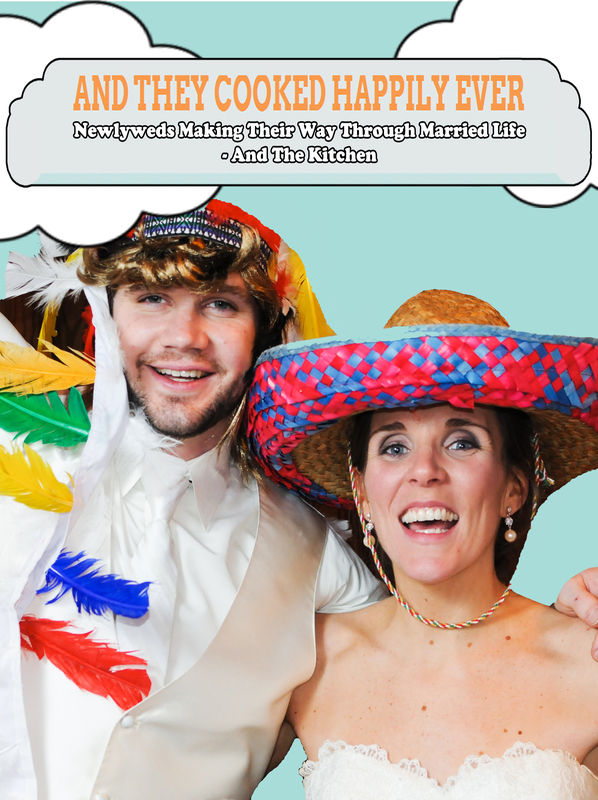 2) In a small mixing bowl, whisk together mayonnaise, HVR dressing mix, Frank’s and salt and pepper until fully combined. Feel free to add Frank’s as you feel necessary. 3) Add the celery and chopped scallions to the cubed chicken and then toss the chicken/celery/scallion mixture with the dressing. Let chill for at least 1/2 hour or overnight. 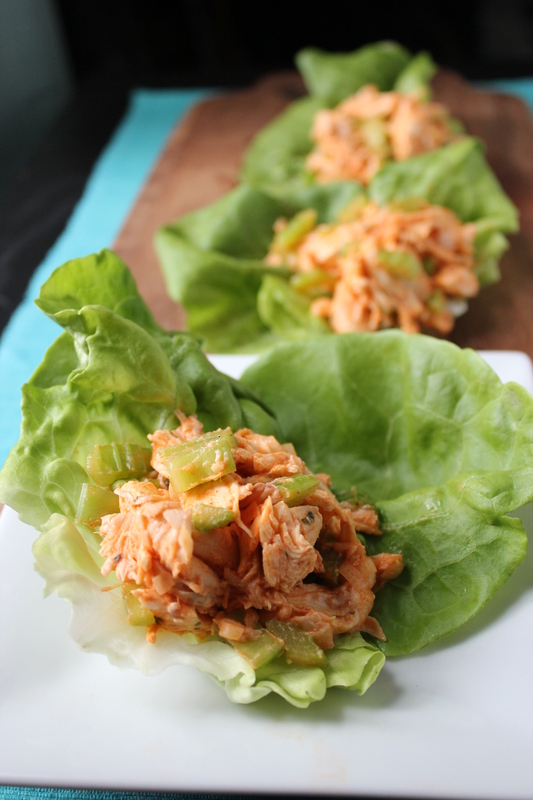 You can serve this on a nice bulkie roll or even just on plain pieces of lettuce if you want to save some extra calories. Oh is it yum – and fairly healthy as well. (1/2 cup serving is just about 3 WW points). Who said you couldn’t spice up your life and your lunch? 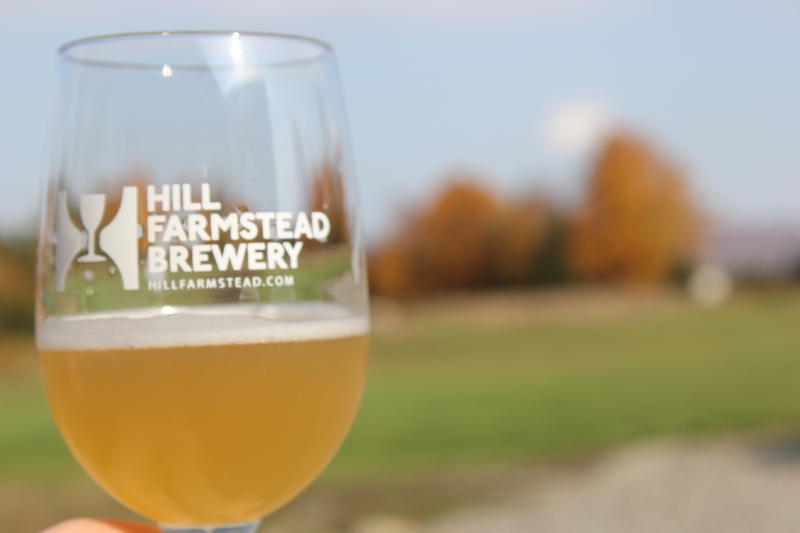 Week nights are tough – you work all day – sometimes go to the gym after work or work later than you’d like, not getting home til’ 7 or 7:30 on some nights! And you’re tired, you’re STARVING. You want something fast. And by you, I mean ME! If I’ve said it once, I’ll say it a zillion times – during the week, dinner needs to be easy, fast, and delicous, because if it’s not, chances are we’ll be eating it for breakfast or calling for pizza at about 9pm. So I kind of took a combination of 2 recipes I saw on Skinny Taste and Martha Stewart and attempted to make some Monday night magic. And the best magic of all? Whatever’s left over, Dave takes to work for lunch! YES! Everyone wins! Here’s my concoction (and new word!) – hope you like! 2) Season chicken tenders with salt, pepper, and italian seasoning. Cook in a pan over medium heat until cooked through and then slice into small pieces. 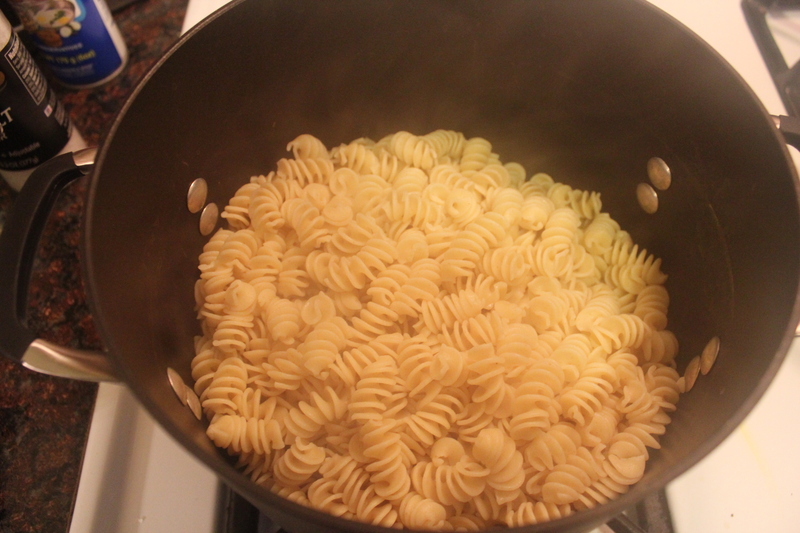 3) Cook pasta accoding to directions on box in salted water til’ al dente. Drain and return to pot. 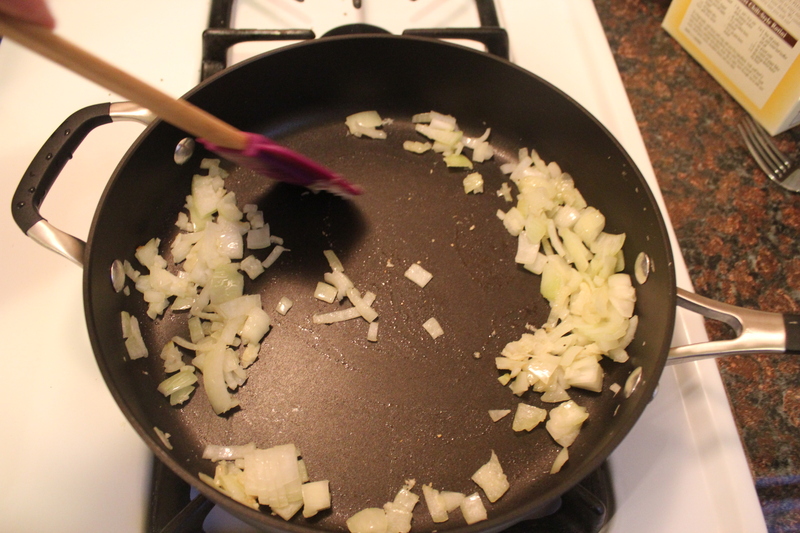 4) Heat olive oil in a sauce pan and saute garlic and onions til cooked through. 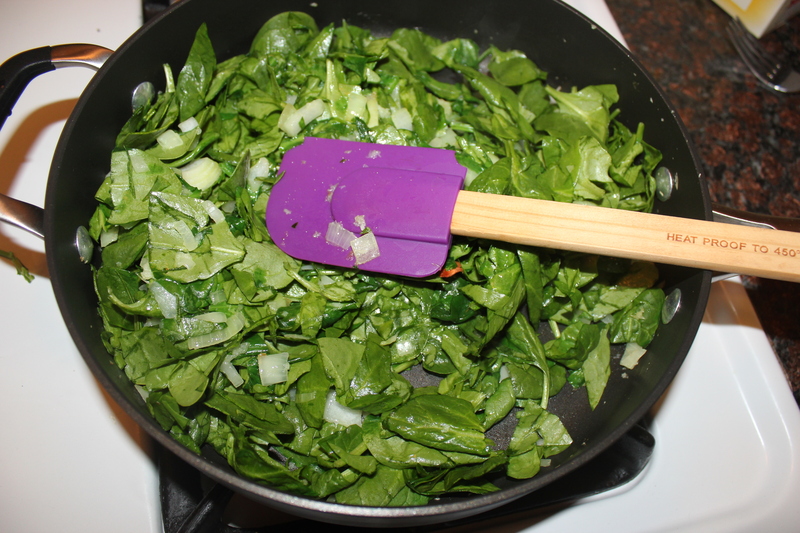 5) Add chopped spinach and cook until tender – about 5 minutes. 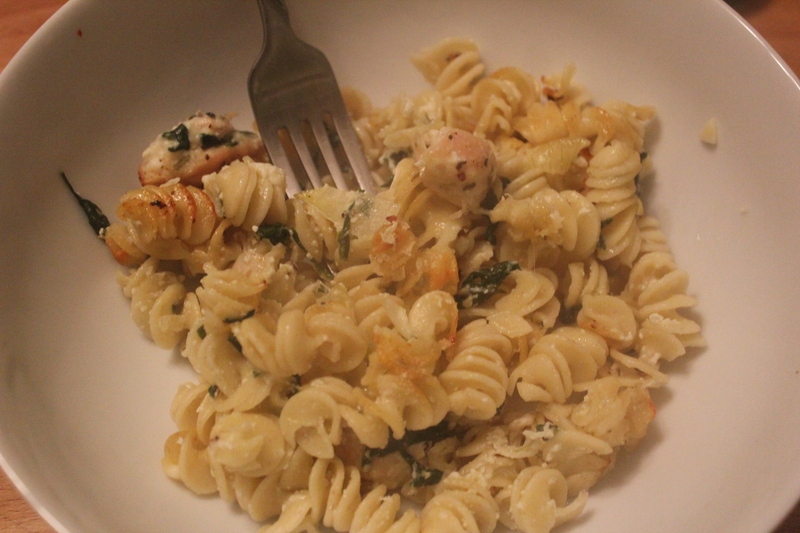 6) Add garlic, onions, cooked chopped spinach, 1 cup of ricotta, 1 cup of mozzarella cheeese, and 1/4 cup of parmesean cheese to the cooked pasta. Mix together til’ cheese begins to melt. 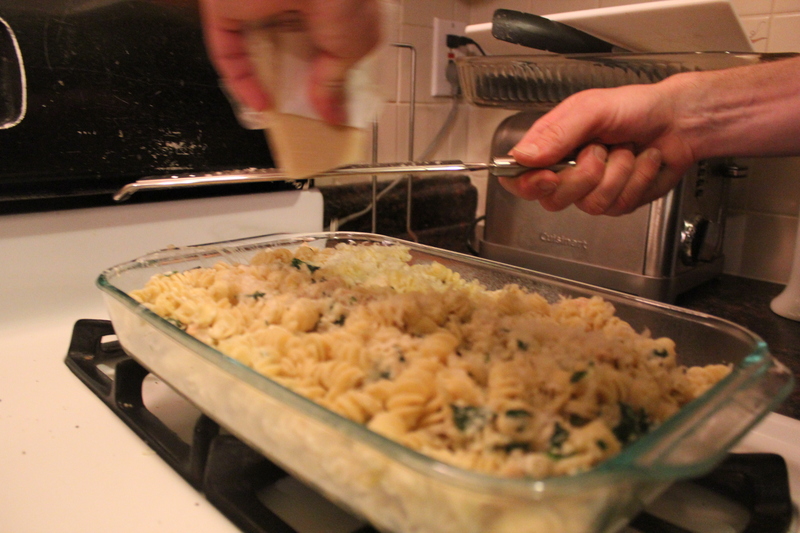 7) Place ziti in a greased 9×13″ baking dish and sprinkle the top with the remaining mozzarella and parmesean cheese. 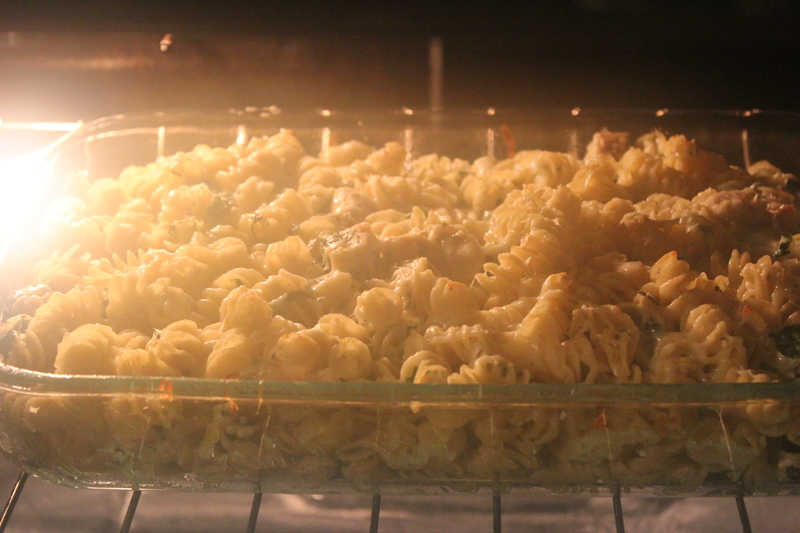 8) Cook at 375 degrees for 30 minutes until cheese gets brown and bubbly on the top. Serve and Enjoy!